I posted my haul the other day, so here are the swatches from it. A few of these items are permanent colors with others being repromoted quite often. Obviously, I won't be swatching/reviewing the mascara and mineralized eyeshadow that I got since it's in my giveaway *hint hint*. If you haven't entered, there is still time! Rules are stated in that entry. 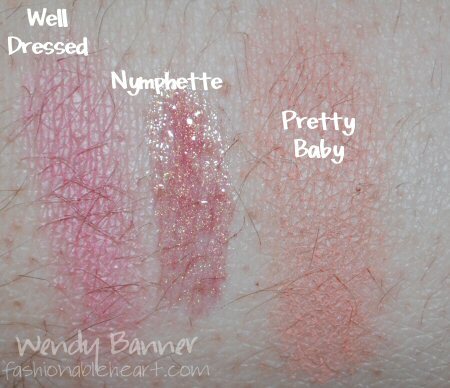 ^Well Dressed blush, Nymphette lipglass, and Pretty Baby beauty powder. 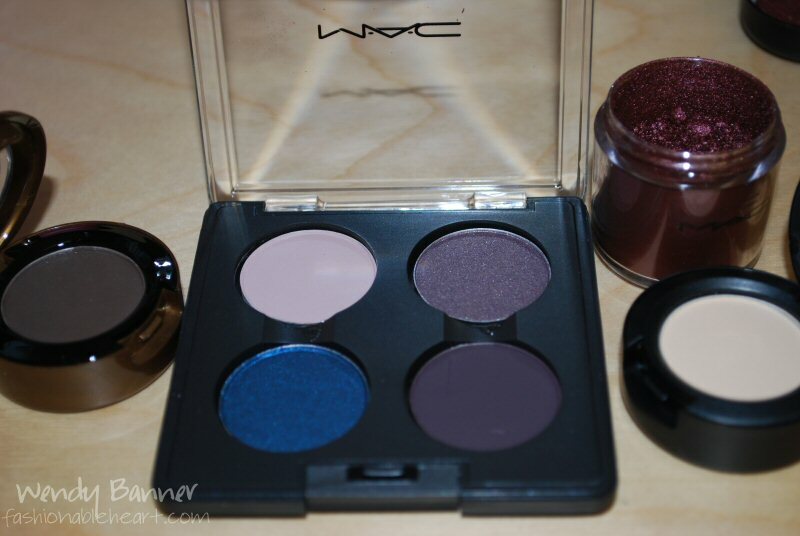 ^Night Manoeuvres eyeshadow, Shadowy Lady quad, Heritage Rouge pigment, and Chamomile eyeshadow. Let me know if you would be interested in a tutorial on how to depot old MAC premade quads! I already have the tutorial up of the newer quads here. 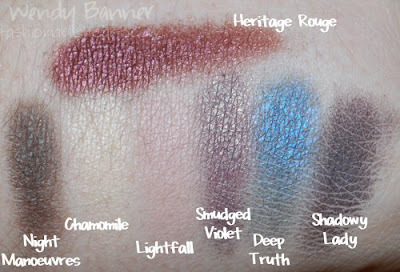 Heritage Rouge is so pretty! I've seen it at a CCO before but didn't pick it up :( Maybe I will next time! @Justine- If you still want one, I'll keep it in mind the next time I'm at a CCO and look for it for you! 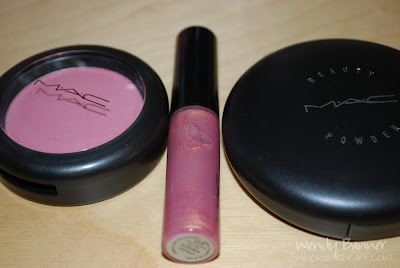 @AngelicBetrayal- It is a bit scary in the jar, but it comes off as a really pretty ruby color. I think it would be gorgeous as a smoky eye! I love your blog! 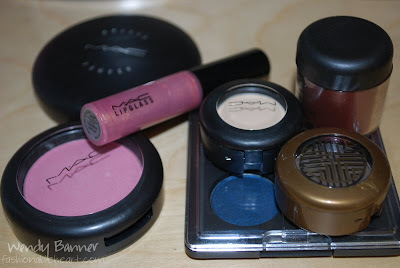 It has such cute details and the pictures of all the make-up make it very fun to look at! I really like the Well Dressed blush. Following now! @Irnshelby- Thank you very much! I don't know how I survived without Well Dressed because it is such a pretty pink. :) I checked out your blog and I'm now following!